Cajun swamp pop singer Charles Mann was born Charles Domingue on November 22, 1945, in Welsh, Louisiana. As a youngster, Mann just loved to sing. He was a member of various bands in his teens and his talent was eventually recognized by Lee Lanor of Lanor records. 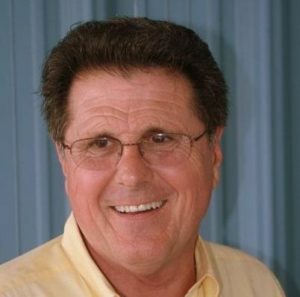 He has recorded such swamp pop favorites as “Red, Red Wine” (1969), “Keep Your Arms Around Me,” “She’s Walking Towards Me” (1980, and “Walk Of Life” (1988). In particular, “Keep Your Arms Around Me,” was a huge regional hit, which was judged in those days, not only by record sales and radio play but by how many jukeboxes the record was spinning on. 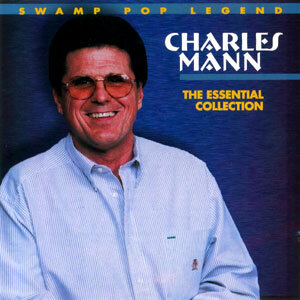 For being one of the pioneering papas of swamp pop, Charles Mann has had surprisingly few full-length releases during his 46-year recording career. Two of those, the ’80s She’s Walking Towards Me LP and Jin Records’ Essential Collection disc, never introduced new material but repackaged a strand of Lanor singles cut with Lee Lavergne. Now, nearly a decade after Essential Collection, Mann returns with a somewhat new look and avoids coasting on his blue-eyed soul rep and recycling the glory days. 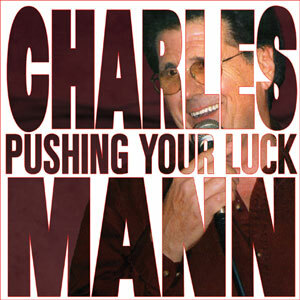 Instead of rushing the process to have an immediate successor to the Essential Collection, Mann painstakingly took years to sift through countless songs pitched to him by prolific tunesmiths “Charlo” Guildbeau and Ron Thibodeaux to eventually handpick 10 dandies, seven of which are first time recordings. While all these fit neatly within the swamp pop canon, it’s also a varied lot. Vintage, dreamy pop tunes “I Started With An Angel” and “I Played The Fool” contrast nicely with stuff that sounds more MOR contemporary like “Louisiana Nights” and “Just You and Me.” As a crooner, Mann’s still got it, a sturdy voice and the unwavering lungpower to really emote on such Kleenex sobbers as “Burning Desire” and “Go On and Cry.” What makes him good is that he recognizes what a song needs and then matches up to its core sentiment, whether it’s weaving a thread of suspense, revealing an unconditional love or trying to conquer a mountain of hurt. Interestingly, Mann’s debut recording “Pushing Your Luck,” originally waxed in 1964 with rock ’n’ rollers the Eltradors, surfaces here Cajun seasoned with Timmy Broussard’s accordion playing. One of Mann’s traditional Cajun favorites, “Daylight Waltz,” features his 74-year-old brother Garland Domingue on drums and 84-year-old uncle Arthur Leger on fiddle. Everything works well with the only misgiving being that the disc doesn’t list which instrument(s) each of the sidemen played. Still, like the title song says, Mann has always managed to keep strutting his stuff and pushing his luck. It’s worked so far.